Some strange things are occurring in ecosystems around the world as temperatures rise and longstanding weather patterns and environmental conditions change. Despite its veracity, climate change deniers may latch on to one taking place in the Russian Arctic as another example of faulty scientific reasoning or climate change hysteria. 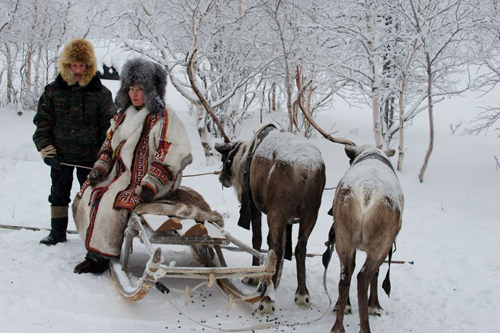 Seventy-two nomadic herders living in the Russian town of Salekhard in the Arctic Circle have been hospitalized since reindeer began dying en masse due to an anthrax outbreak, The Guardian reports. Among them are 41 children. There hasn’t been an anthrax outbreak in the region since 1941, according to The Guardian’s report. More than 60 people were evacuated from a quarantine area established around the site of the outbreak. Five adults and two children have been diagnosed with anthrax, which is carried by a bacteria that can lie dormant in frozen remains for hundreds of years. Scientists linked the outbreak, which also has left more than 2,300 reindeer dead, to a warming climate. Average temperatures have risen 0.43C in Russia over the past 10 years, but the increase is greater the farther north you go. The warming climate is also causing higher rates of erosion, particularly along riverbanks where animal carcasses are buried and where residents tend to bury their dead. That raises the risk that the bacteria that carry anthrax and other diseases will spring back to their active state. In addition to carcasses and corpses, the bacteria can wind up in groundwater used for human consumption. Salekdahl is located on the Yamal Peninsula, an area of the Russian Arctic where a series of unexplained sinkholes have been detected. Permafrost is melting across the Arctic. 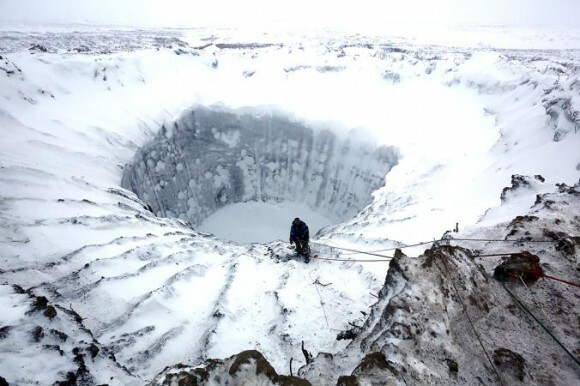 Scientists hypothesize that high concentrations of methane gas built up and released explosively as permafrost melts could be the cause of the sinkholes sudden formation. Thawing permafrost could significantly add to global methane and greenhouse gas emissions, contributing to a reinforcing feedback cycle that fuels ongoing increases in temperature. Researchers filming in the Yamal Peninsula filmed a grassy area that appeared to bounce as they walked on it. They said bursting of methane bubbles in the warming permafrost could be responsible. The methane currently stored in Arctic permafrost contains twice as much CO2 than that in the atmosphere, The Guardian’s John Abraham reported. The Woods Hole Research Center in an October 2015 policy brief warned that climate models, including IPCC models used to establish U.N. climate change accords, fail to adequately account for the feedback cycle that exists between permafrost melting, methane emissions, and climate warming. 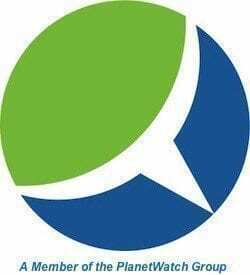 Referring to two studies, Woods Hole staff estimated that melting Arctic permafrost could release the equivalent of as much as 205 gigatons of CO2 into the atmosphere. That would add as much as 0.5°C (up to 0.9°F) of warming to current forecasts. As Abraham explained: ¨In the rapidly warming Arctic (warming twice as fast as the globe as a whole), the upper layers of this frozen soil begin to thaw, allowing deposited organic material to decompose.